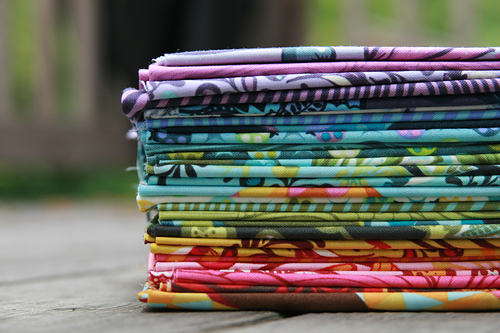 I received some beautiful fabric in the mail this week - The Birds and the Bees by designer Tula Pink. This fabric was sent to me generously by one of my sponsors, Westwood Acres (you can see all their The Birds and the Bees bundles here). Amanda asked if I wanted to play around with some of this new line and I didn't really have to think very long before saying yes! From the first time I saw this fabric online, I thought it would be perfect for a string quilt. I decided for a bit of a less traditional string quilt however. Yesterday I started making blocks that had random amounts of strings on them and I thought I would share a little tutorial for how I made these blocks. 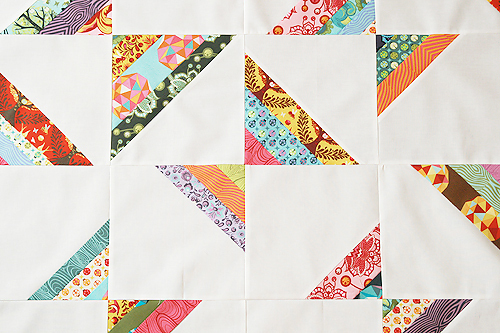 They look like butterfly wings to me so....here is my Butterfly Strands Quilt Block tutorial! Cutting Directions Background - Cut squares from your background fabric. These can be any size, as long as you are consistent for all your blocks. We will be trimming the blocks down a bit to square them up, so cut a bit larger than you'd like your final block. I cut mine to 8.5" x 8.5" and squared to 8.25" x 8.25". 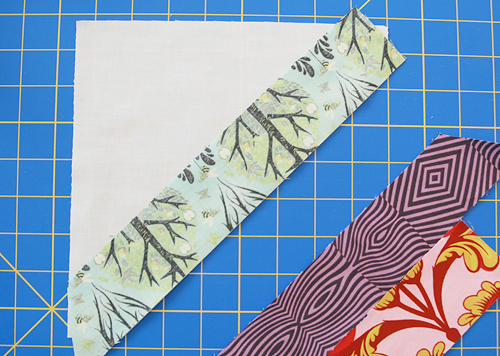 Strings/Strips - Cut random size strips from your fabric, measuring from 1.5" to 2.25". 1. 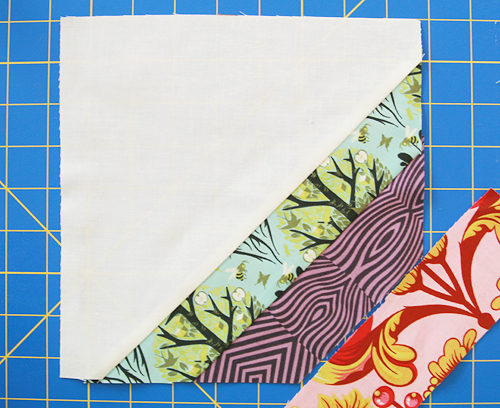 Take your background square and cut a 45 degree angle (diagonal) from the square, using either the 45 degree line on your cutting mat or your quilting ruler. Each block should have the diagonal cut in a slightly different location, cutting more off some blocks and less off other blocks. 2. Layout your stripes for your block. Don't trim these yet, just get an idea of what colors you want to use for your block. 3. 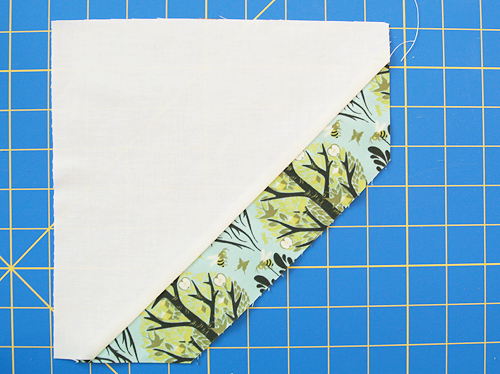 Right sides together, sew your first strip to the 45 degree diagonal of your background fabric. 4. 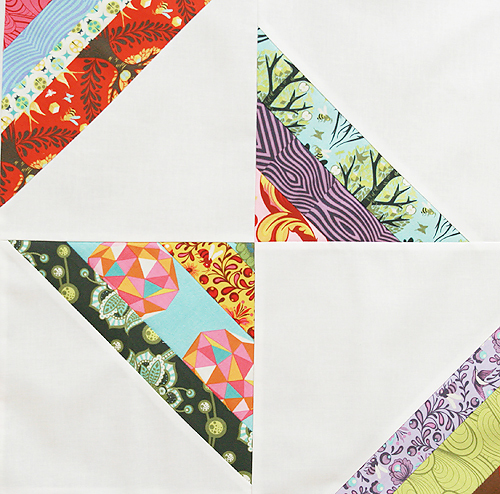 Using your quilting ruler, trim the ends of your strip. 5. Repeat with your remaining strips. 6. Square your block. As I said in the cutting directions, I squared my blocks to 8.25" x 8.25". You're done! 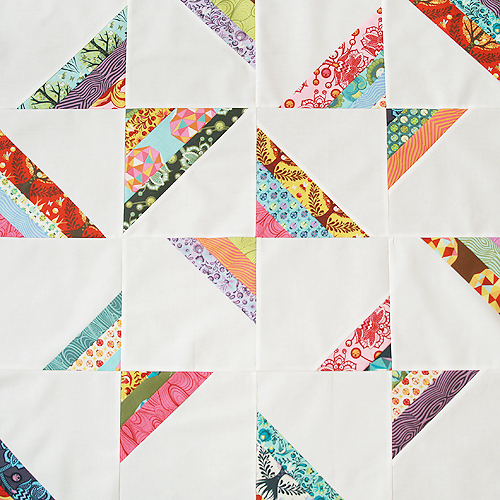 Layout your blocks as below by alternating the direction of the string sections.